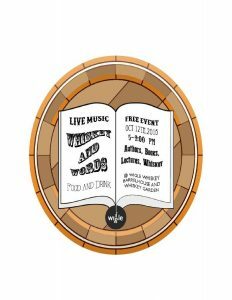 A Shout Out To Mandi Pryor and her Pittsburgh area event last night, Whiskey and Words. The event was so much fun. I met a lot of interesting people; The Mary Ann Mangini Trio was FABULOUS, Burgh Bites Food Truck was delicious, Wigle Whiskey was a great venue Oh, and yes, I sold a bunch of books! What a fun and successful event! I was honored to speak at this event, and I received this lovely message this morning from one of the authors.